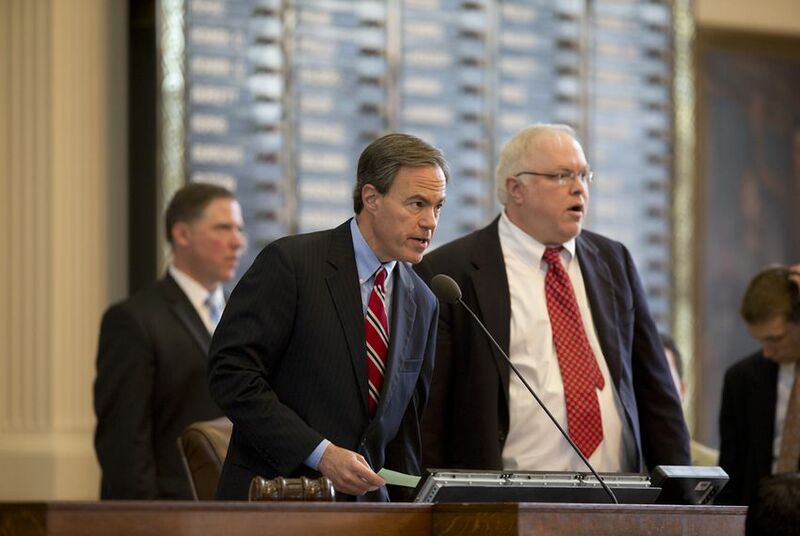 The Texas House sent the last part of a $3.8 billion tax cut deal to Gov. Greg Abbott's desk Friday. Senate Bill 1 will increase the homestead exemption from $15,000 to $25,000 if voters approve an amendment to the state Constitution. The Texas House sent a bill increasing the homestead exemption from $15,000 to $25,000 — if voters approve it — to Gov. Greg Abbott's desk on Friday, the last part of a $3.8 billion tax cut deal that includes property tax relief and a reduction in the franchise tax rate paid by businesses. The House approved a compromise version of Senate Bill 1 on Friday after a provision was removed that boosted its price tag by $400 million. On Sunday, the House had agreed to the addition of a provision by state Rep. Senfronia Thompson, D-Houston, that would have helped some school districts bolster their budgets to make up for the homestead exemption hit. More than 200 school districts provide local exemptions ranging from 1 percent to 20 percent of a home’s taxable value, yet the state does not properly factor that lost tax revenue when calculating how to distribute state funds for public schools, Thompson said. Her provision would have had the state cover part of the costs of the lost property tax revenue for those districts, along with covering the cost of the increase in the statewide homestead exemption. More than half of the measure's costs were expected to cover five urban or suburban school districts that offer local homeowners an additional 20 percent exemption: Houston, Cypress-Fairbanks and Spring Branch ISDs in the Houston area, and Dallas and Highland Park ISDs in Dallas. The Senate refused to go along with Thompson's provision and it was stripped in a conference committee. Both the Senate and House passed SB 1 again on Friday. A day earlier, the House gave final approval to a 25 percent across-the-board cut in the franchise tax rate.